We aim to offer you a wide range of high quality services fit to satisfy all of your surveying needs. Please select the kind of service you require from the list below to be taken to a detailed description of what each of them are, so you can best find the service fitting your needs. 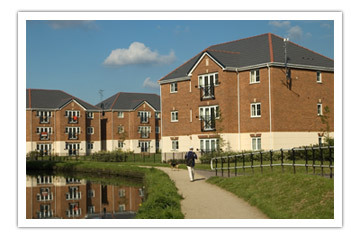 Surveys carried out in North London, Herts, Essex, Bucks and Cambridgeshire. Get a building survey with Alderman Chartered Surveyors. We provide a house, party wall and home buyers survey in Enfield and we can prepare expert witness reports. Alderman Building surveyors provide a party wall, house and home buyers survey in Cheshunt. We also provice expert witness reports. Waltham Abbey building surveyors. Alderman surverying services include, house, home buyers and party wall surveys and surveyors, as well as Witness reports. Alderman provide party wall and building surveyors in Loughton. They also produce homebuyers and house surveys as well as expert witness reports. House and homebuyer survey provider in Epping. Alderman aslo have party wall and bulding surveyors and can prepare and provide expert witness reports. Harlow Building and party wall surveyors. We can provide a house and homebuyers survey and prepare expert witness reports.